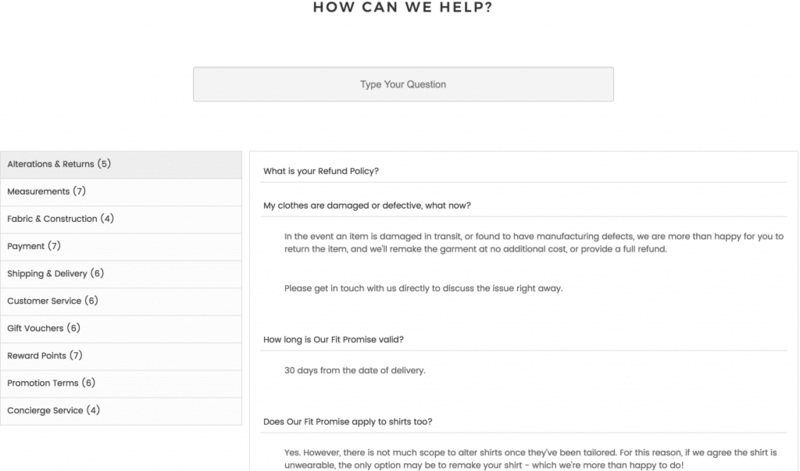 Our Magento FAQ extension creates a sleek, responsive FAQ page with question categories and subcategories . Customers can easily search the FAQ page with an autocomplete search bar to quickly find exactly what they’re looking for. On any eCommerce site, it’s common for customers to have questions before buying a product or after purchasing. Answering the same questions over and over can be frustrating and time consuming for customer service teams. Fancy FAQ serves to combat those frustrations. Create a customized FAQ page with all your frequently asked questions using the Magento Questions and Answers extension. FAQ pages can be updated continuously to address your customers' questions and concerns. This Magento FAQ module allows admins to save customer service time by displaying customized FAQs on an organized page with categories and sub-categories, an autocomplete search box and responsive design. With the Magento FAQ Extension, admin are able to easily create a simple FAQ page or simple FAQ layout, manage questions and answers in the admin panel and set up categories for their FAQ page. 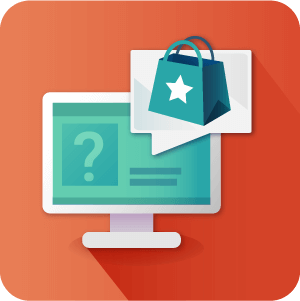 Customized FAQ Page – Create a sleek and customized FAQ responsive page in your Magento ecommerce store. Search FAQ – This is ideal extension which allows users to search questions and answers in an auto-complete search box. 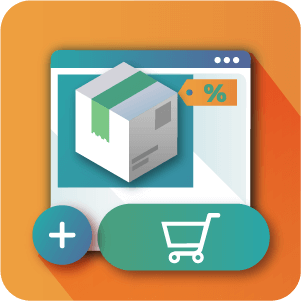 FAQ Page – This advanced FAQ extension lets you create a separate FAQ page or FAQ Magento section in your Magento store. 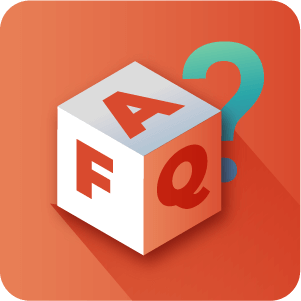 Manage FAQ – FAQ grid makes it easy to manage questions, answers and categories from Magento® admin panel with this FAQ manager extension. 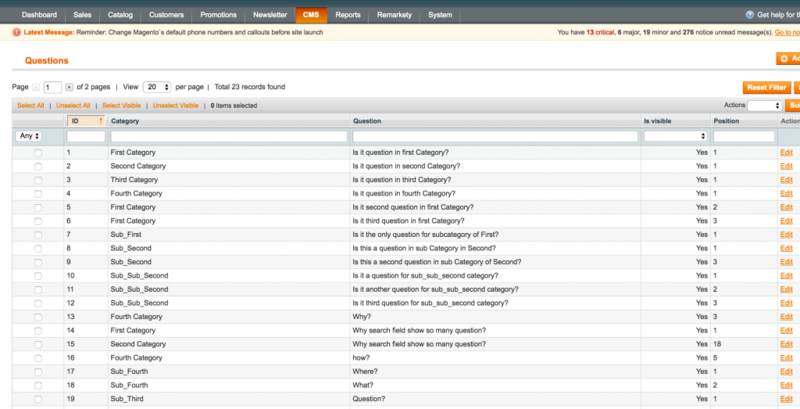 Search Questions – Search bar ensures customers can easily find questions they’re looking for. 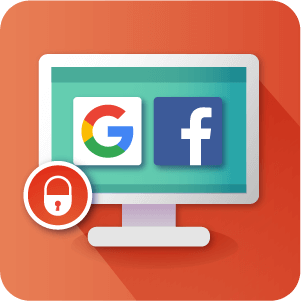 Auto-Complete Search – Customers can start typing the initial sentence and autocomplete will show all relevant questions stored in the FAQ database. 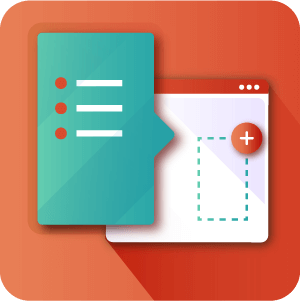 Organize FAQ Page – Create FAQ topics and group questions and answers into categories and subcategories. FAQ Navigation Menu – Show all question categories and subcategories or featured ones. Hierarchical Categories – This adjustable FAQ Magento extension allows you to change position of FAQ categories layout. Responsive FAQ – Fully responsive and beautiful design. Subcategories – You can create a question and answer sub-categories under a parent category for the relevant FAQs. Easy Setup – This easy FAQ magento extension is easy to setup. After downloading the faq module, the FAQ page link shows in ecommerce site footer. 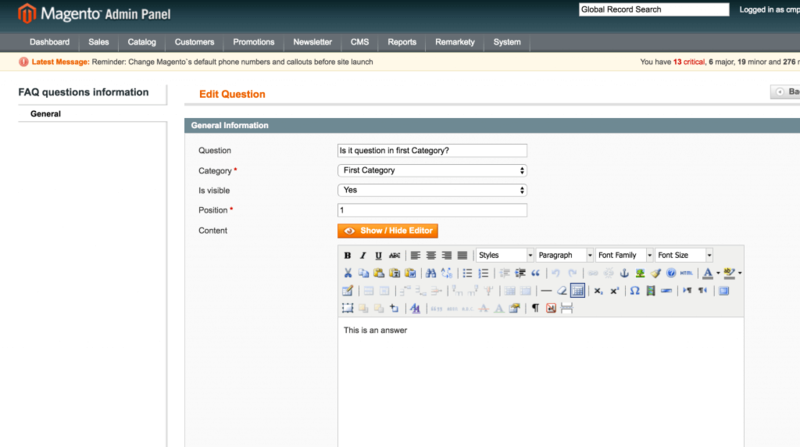 Knowledge Base – Creates an FAQ Magento knowledge base customers can always access. Quick Answers – Helps to find FAQ item or faq and product questions quick and easy. Time-Saving – FAQ Magento module saves precious admins’ and customers’ time. Edit & Update – You can edit any FAQ content and update FAQs or FAQ title on any FAQ section page. Delete Question – You can delete a single question, or FAQ groups from FAQ list view or faq listing layout. Yes the extension is fully mobile responsive. Does the extension have auto-complete search? Yes. The search box has a built in auto-complete function. 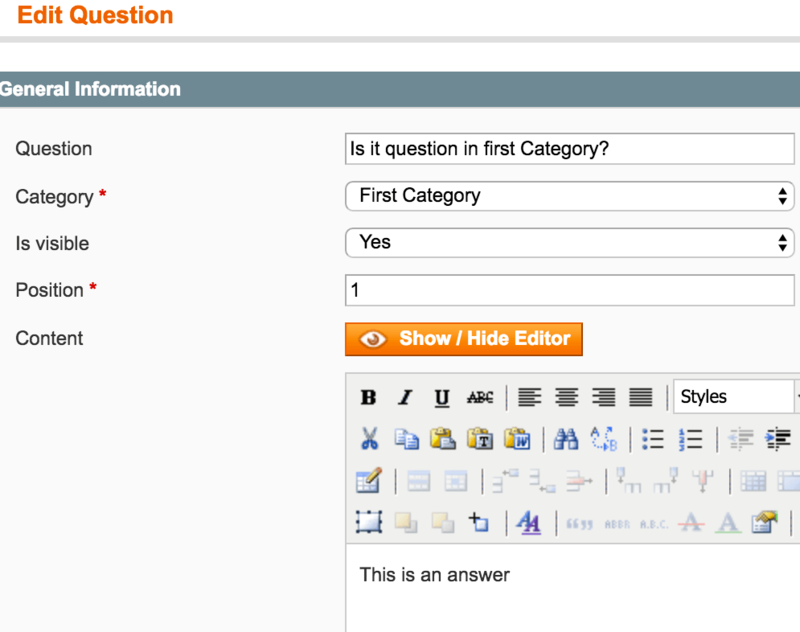 How many categories can be added to the Magento FAQ page? There are no limits to the number of categories that can be added to the Magento FAQ page. To learn more about managing categories see this Help article. Is there a limited amount of questions or answers? There are no limits to the number of questions that can be asked or answers that can be given. Read more about managing FAQ questions and answers by Clicking here. How can questions and answers be searched? A search box is automatically generated for the Magento FAQ section by the Fancy FAQ extension. How many sub-categories can be created? The Administrator can add as many subcategories as he or she decides are necessary.